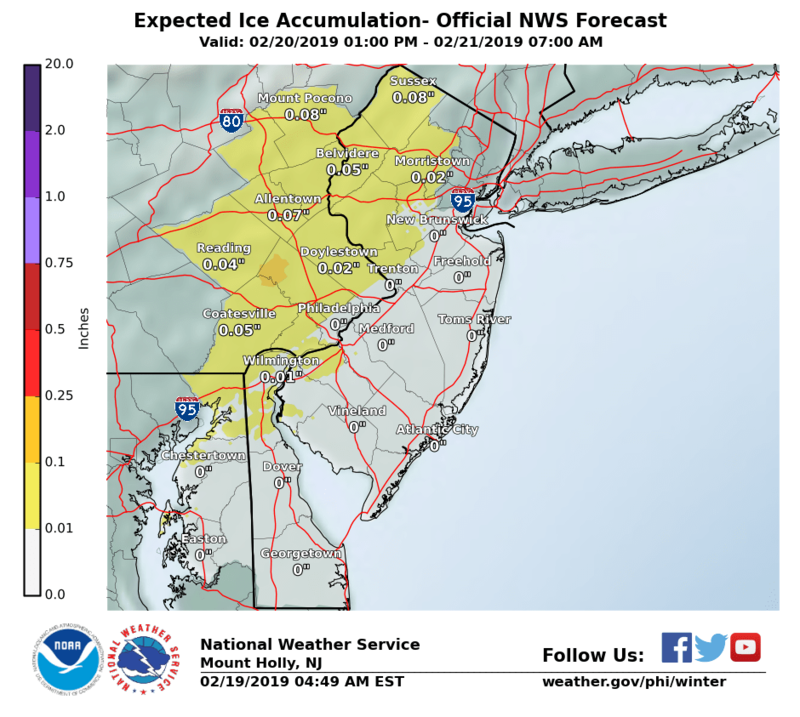 A Winter Storm Watch remains in effect for tomorrow, February 20, 2019. 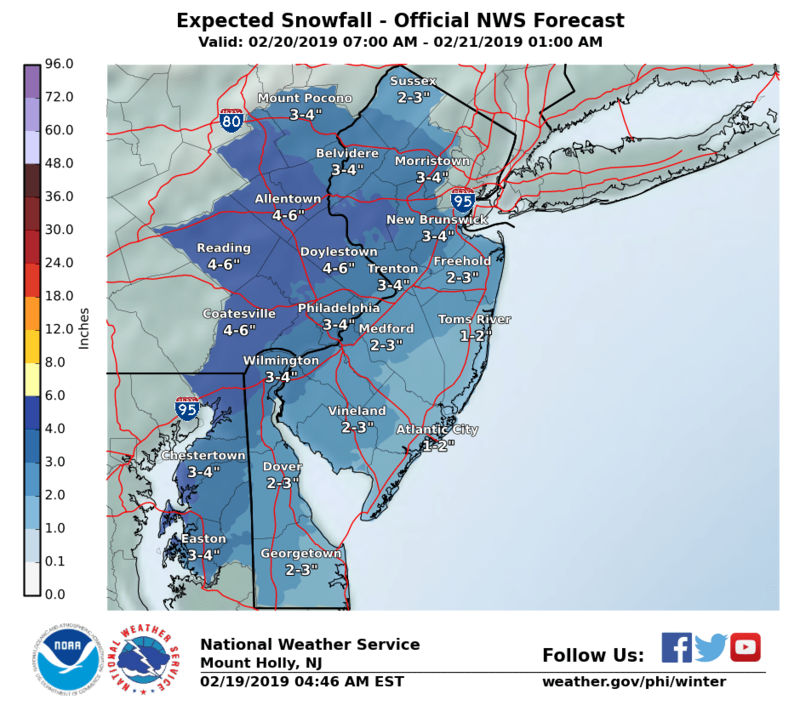 Several inches of snow is expected prior to transitioning to sleet and freezing rain before possibly ending as rain overnight Wednesday into Thursday. 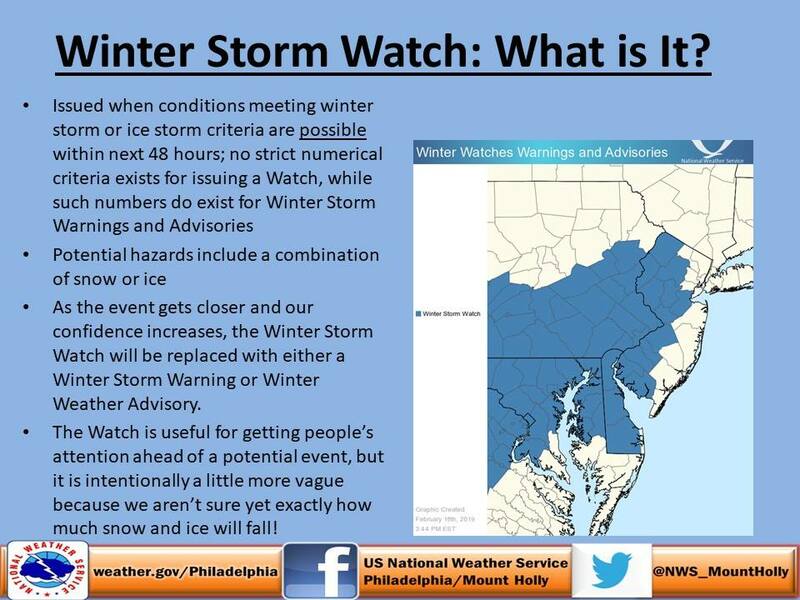 The timing of the storm should coincide with the Wednesday evening commute. * WHEN...From Wednesday morning through late Wednesday night.